It’s been a hot week in Utah. So much for a slight warm up to summer. Summer weather is in full swing! 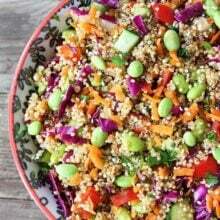 We’ve been eating a little lighter this week-Greek Quinoa Salad and my favorite Chickpea & Avocado Salad Sandwich. I also made Edamame Basil Hummus from The Yummy Mummy Kitchen Cookbook by Marina Delio, one of my new favorite cookbooks. The hummus was easy to make and perfect for a light lunch. The dip starts with edamame. I like to call it EdaMAMA:) I love that this hummus calls for ingredients that we always have on hand. We always have a bag of edamame in the freezer. The dip also has garbanzo beans (chickpeas), garlic, basil, lemon juice, salt, pepper, and olive oil. Place all of the ingredients in a food processor and that is it! Talk about simple! By now you should know that I have a slight, or major, obsession with green food. Well, green everything. So you know I am loving the green color! The hummus is healthy, fresh, and flavorful! 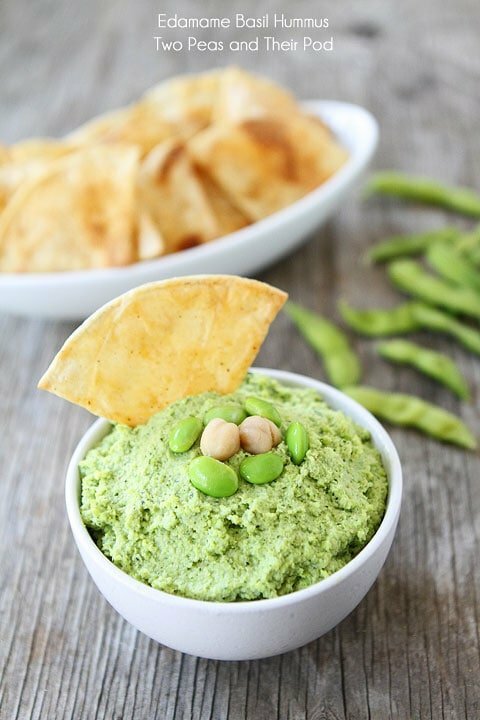 Edamame Basil Hummus is great for every day snacking or for parties! I am going to be serving this hummus at all of our BBQ’s this summer. Serve with chips, veggies, or crackers. It is also great as a sandwich spread. We enjoyed it with baked Savory Tortilla Chips-you can find the recipe on Cafe Zupas today! 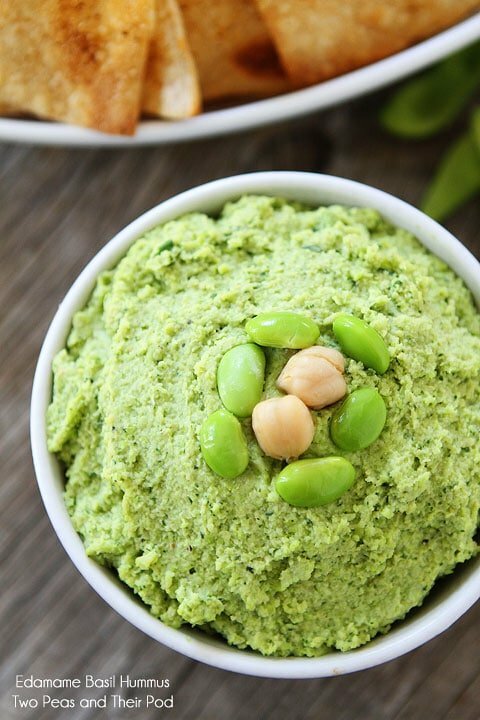 Keep cooking easy and light this summer with Edamame Basil Hummus! 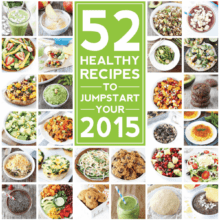 And make sure you check out The Yummy Mummy Kitchen Cookbook for more simple and healthy recipes. The book is gorgeous. I know we will be using it all summer long! A quick and easy hummus that is healthy and full of flavor! Great for every day snacking or parties! 1. Reserve one tablespoon each of the edamame & garbanzo beans for garnish. In a food processor, blend the remaining edamame & the remaining garbanzo beans with garlic, basil, lemon juice, salt and pepper. Slowly pour the olive oil through the feed tube while the processor is on. Process until smooth & well blended. Add salt and pepper to taste. 2. 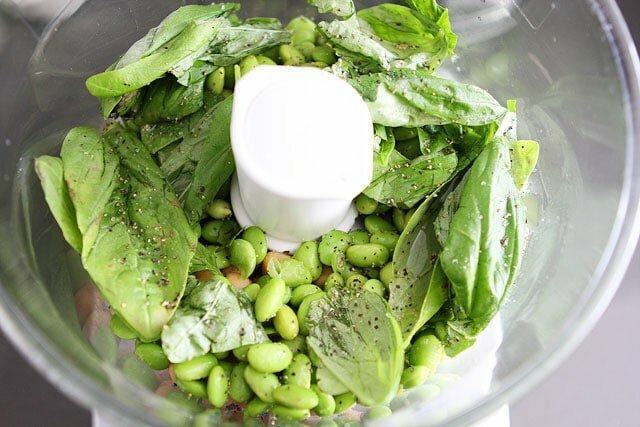 Pour into a serving bowl & garnish with edamame, garbanzo beans, olive oil and basil. Serve with chips, crackers or veggies. Note-this is also great as a sandwich spread.For a time save, buy edamame that is already shelled. 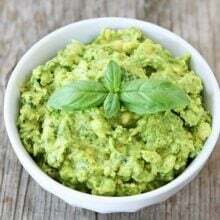 I love edamame hummus and I love that you added basil to it! Yum! So fresh and so green, green! Love it. 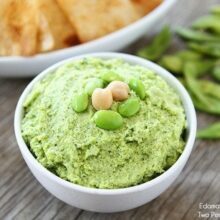 I have never made edamame hummus, but this looks so good! I keep seeing this hummus everywhere! Need the hummus and the book asap. Love Marina. Neat! I love all the flavours in here. This sounds lovely! Love this recipe! It is so bright, green, and fresh-looking! An edamame hummus sounds great! I love that amazing green colour! Lov the addition of basil to this! Such a yummy idea for hummus, I love it! Thanks for sharing! Thank you for the nice recipe. Have a good weekend! Love the basil, I have to try this! So fresh and yummy — perfect healthy snack!! I’ve been craving hummus lately also and it must be because of the weather changes! Such a fresh beautiful meal! We grow so much edamame so I’m glad to see this recipe. Gives a great new idea! Such a great snack idea! Love it! I’ve never seen a better lookin’ bowl of edamame. 🙂 Gotta try this hummus! That looks so fresh and delicious Maria! YUM!! I love the added protein from the edamame. This is brilliant! It looks so fresh and flavorful! Love this protein packed dip – perfect for the warmer weather as a snack for the kids or guests! 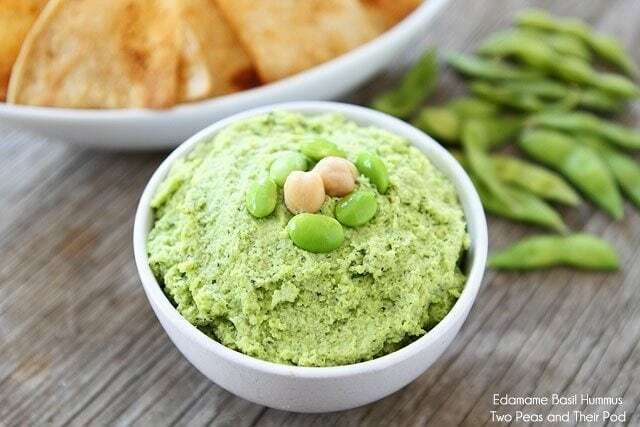 I’m not sure I would have thought to put edamame in the hummus, but it looks delicious! Can’t wait to try it! You guys are the best! I’m so so so happy you are enjoying my book. I do love this dip 🙂 Enjoy your warm weather this weekend! You didn’t steer me wrong with the avocado feta dip, so I bet this edamamA hummus is also yummy. Yum! 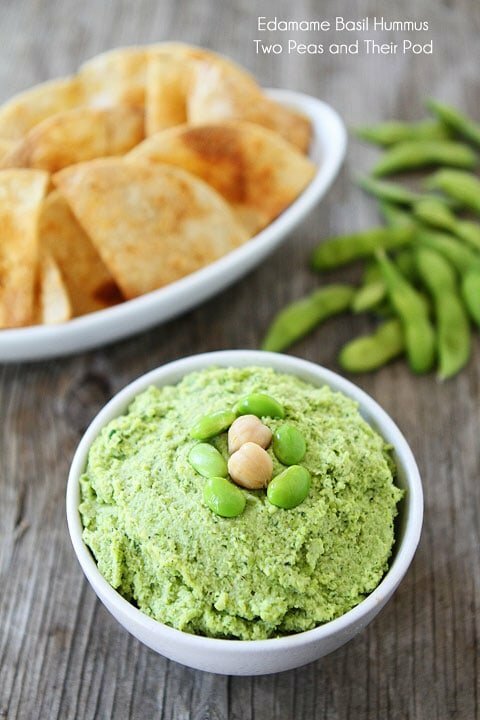 I love homemade hummus and edamame so this is right up my alley! I just made this….delicious! Thanks for another great recipe. Perfect snack, Maria. I love it! So easy and delicious! Perfect for summer parties! I just bought some edamame, but didn’t have a recipe in mind. This came at the perfect time, thank you! Just had to come back and tell you we love this hummus! I made it for lunch today, and spread it on some tortillas with fresh spinach. So light and tasty. Thank you! I made this today because I have fresh basil at home and it was so good! I added some cumin and curry powder to give it a bit more of a hummus-y flavor. 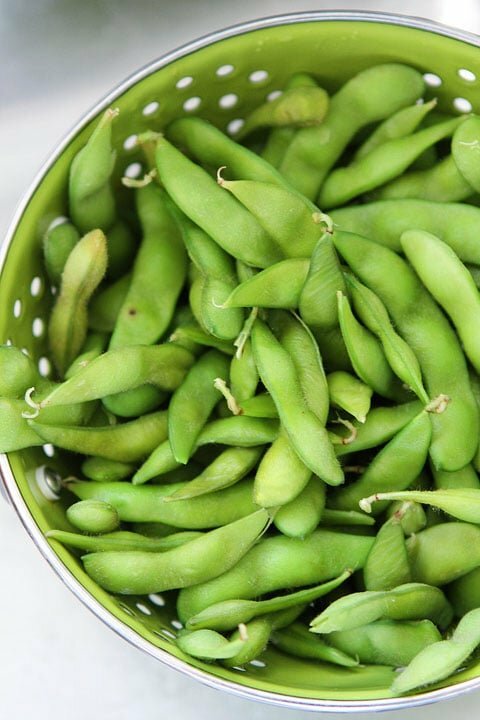 Also, shelling edamame is sort of a pain, so I recommend buying it pre-shelled if you are able to. A friend told me about this recipe–fabulous! I could honestly eat it with a spoon! Thanks so much for sharing! Hi it’s me, I am also visiting this website on a regular basis, this site is really pleasant and the viewers are in fact sharing fastidious thoughts. Would you serve this with won ton chips or veggies or both. This is seriously on my top 10 list of the best things I’ve ever eaten in my life. I am OBSESSED with this dip! Great recipe. 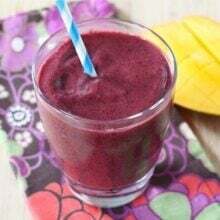 Can you make a larger batch and freeze? Thanks! how can I do this if I don’t have z food processor? You can use a blender. It might not be as smooth! Just made this for a party this weekend. It was NOT a hit. No one tried more than a bite. I served the dip with pretzel chips. and followed the recipe exactly. I just don’t think basil and hummus go together. I am planning to try the leftovers on a panini sandwich this week and will continue to search for a good hummus dip. I added fresh kale and a bit of tahini with great results. So fresh and green! I have made this recipe many times. It tastes best when first made (right out of the food processor!) Thank you for the wonderful recipe! I make this hummus ALL the time for parties or if we have friends over. I have never met anyone that doesn’t like it. Goes great with veggies and pita chips. It’s got a great, different flavor.